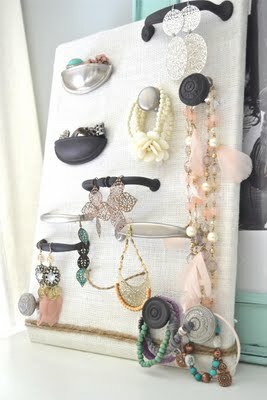 I’ve been pondering my jewelry organization a lot lately. 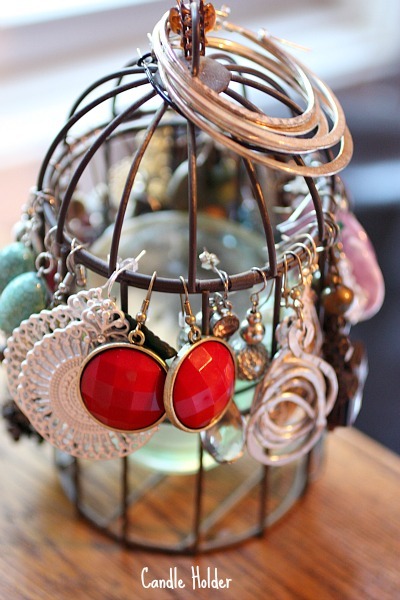 Not because of my earlier inspiration from these fabulous DIY ideas using old or vintage jewelry, but because my jewelry is slowly creeping into all areas of my bedroom. I have some Good “Enough” fixes, but I want to take it up a notch, and this inspiration is exactly what I needed. nor do my necklaces fit on my old hand towel that was no longer being used in our guest bathroom. No, they had spread, so, in desperation, I began looking for anything laying around the house, which needed a job. This tea light candle holder definitely gave new purpose to caring for all my silver bangles and drop earrings. I even put this very old wedding gift to use. It was a dated candle holder that was on its way to Goodwill, but thought my earrings could love on it for a bit. And yes, in pathetic desperation, I pounded two nails into my bathroom wall, because in all honesty, no one sees this poorly outdated 90’s wallpapered wall except for my family. Really? 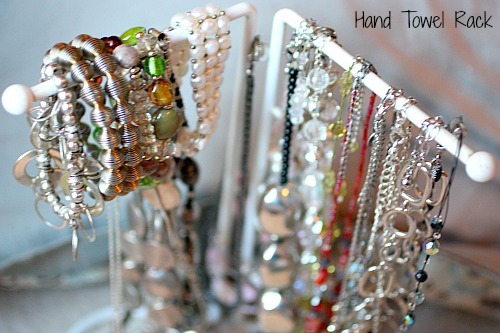 The nails are completely a Good “enough” thing for organizing jewelry. Do I regret my jewelry purchases? Not a bit. But now, I need to get them more closely confined into one spot, so they don’t take up my whole dresser, and the remaining ideas do just that. My Frugal Fashionista mindset is to purchase second hand designer clothing items, but then transform those outfits with some fun statement piece accessories. Learning how to accessorize is the means to do just that. 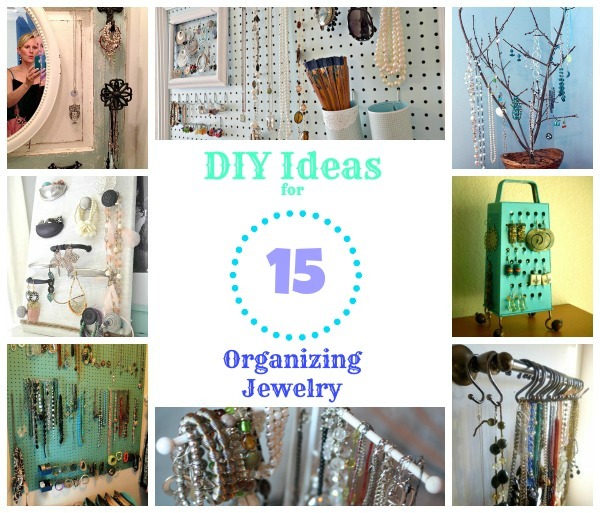 Are you looking for some creative DIY options for organizing your jewelry? What do you have that’s a perfectly “good enough” thing to solve the problem? 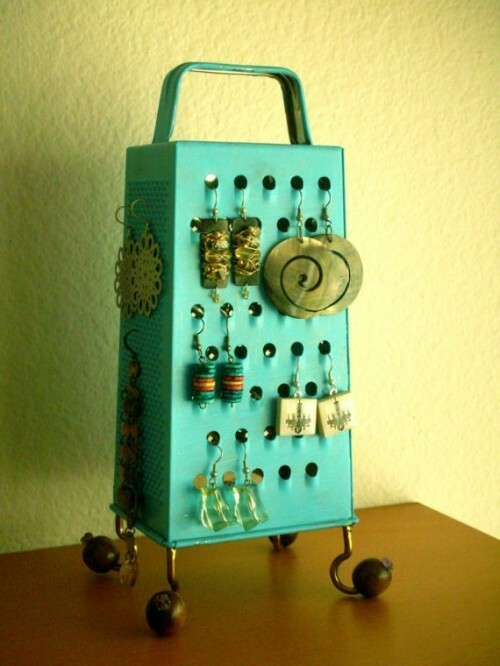 I love that someone thought to spray paint an old cheese grater for their earrings. Isn’t that adorable? I love how Kellie showed me such a great solution by just gathering all your lovelies into hurricane lamps. I surely have enough of those laying around. And if you don’t, you know that your local thrift store have them waiting. Old towel racks with shower curtain rings are a perfect solution. You can buy cheap rings at the dollar store if you don’t have any on hand, and check out how Sarahdipities used an old rake to hand her darlings. 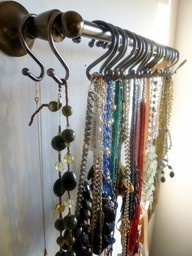 That’s especially perfect for me since I have so many long necklaces. A few weeks ago, my dear friend IRL, Angela, had me over to practice our music for Becoming. We were back in her bedroom around the computer, and I stopped dead in my tracks when I saw what she had done with a corner of her bedroom. Outside her bathroom, she has an extra sink. 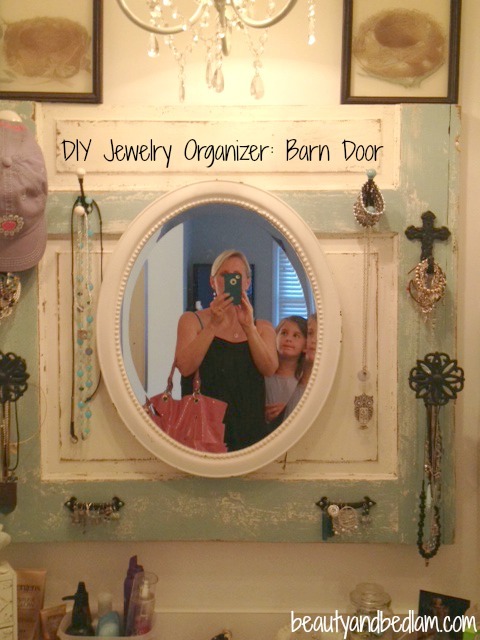 She took a section of an old barn door and dressed it up just for all her fun accessories. She painted it, distressed it, hung a thrifted mirror on the barn door, and then hung a variety of cabinet pulls that she had collected. I love all the different shapes, sizes and colors. 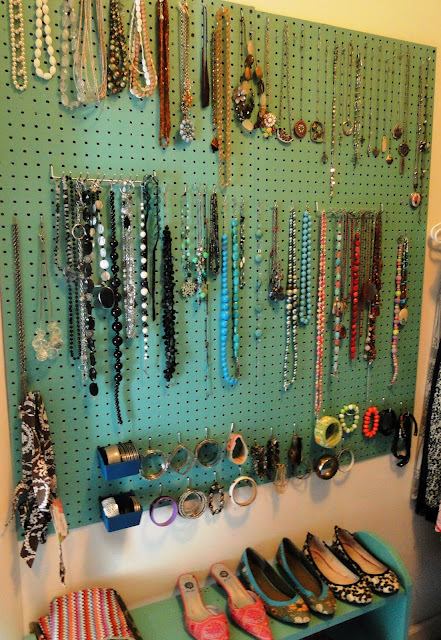 Yes, it’s kind of odd that I have two dear IRL friends, both named Angela, and both of whom I am sharing their jewelry organizers, but this Angela, from Button Bird designs, decided to conquer her jewelry challenge by hanging peg board in her closet. I love the simplicity of this, and it didn’t take her much time. 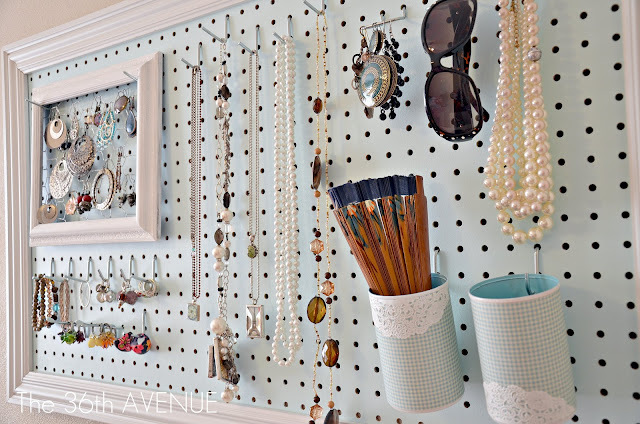 36th Avenue has the same idea – a peg board with a place for everything, but this took more time to frame it out beautifully, and accent it with a variety of special touches. 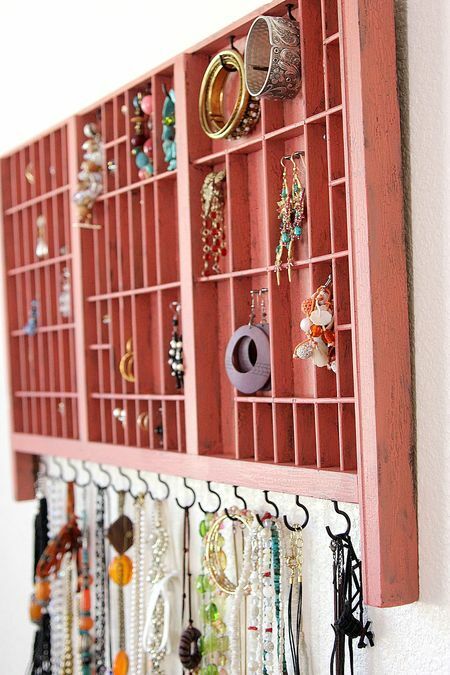 This is an amazing repurposed job, where she took a $15 old set tray found at an antique store, and brought it to a whole new level of fabulousness. 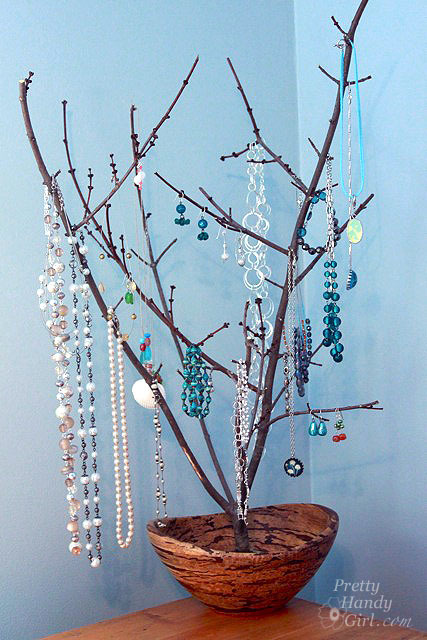 My friend, Brittany, was inspired by some branches, and I love the natural element it brings to her room. 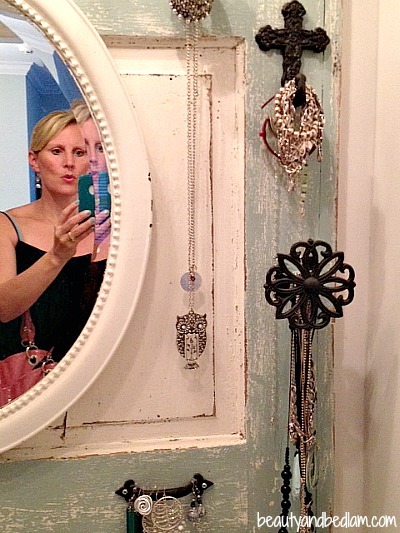 Liz Marie did a simplified version of my friend, Angela’s by just using just hardware pulls. 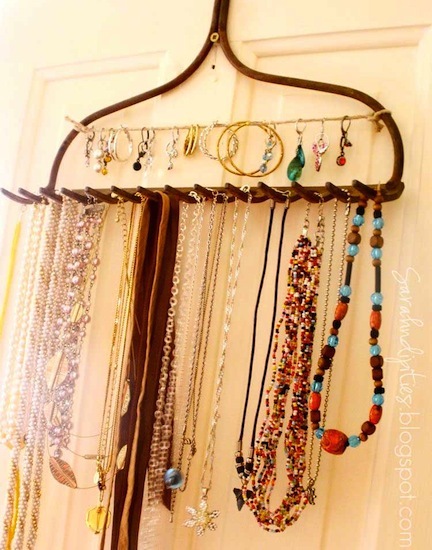 I hope you’ve been inspired by these amazing DIY jewelry organizers. Read the rest of my 31 Days of Good ‘enough” Things by clicking here, and don’t miss the launch of 10 Minute Dinners. I’m tackling 31 Days towards 10 Minute Dinners over at my new site. 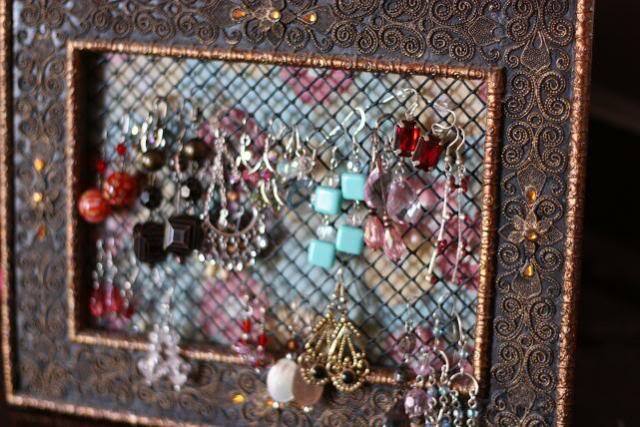 I bought a couple of bead organizers from Michael’s to store my earrings in! They are plastic and each compartment has a snap-shut cover, so it keeps them contained and keeps the dust out. They are inexpensive and I love how well they work! (Though I don’t have any BIG earrings, which probably wouldn’t fit.) And if you really wanted to, you could probably make them cuter with some paint pens, stickers, or jewels. Love all these ideas!! 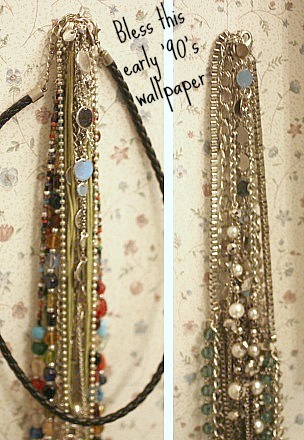 great way to use things you have sitting around the house!! These are such great ideas!! 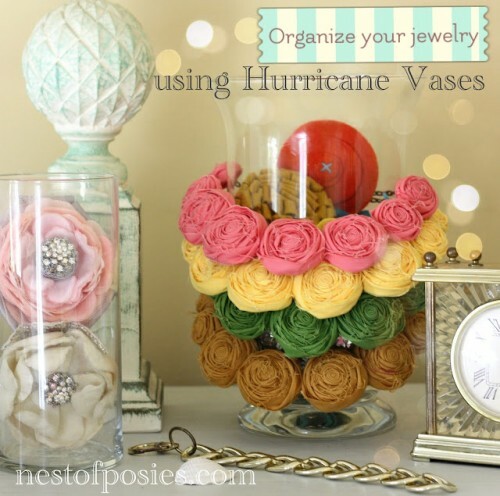 I definitely need to take note here & getting started on some of these DIY ideas. Thanks for sharing! Great post! I have been wanting to do this latelly… so now I will! Awesome collection, love the cheese grater! such a fun surprise to see my hurricane idea in your post! you are so sweet. goodness, some of these are amazing ideas! wow. have a super week, Jen! Absolutely FABULOUS! 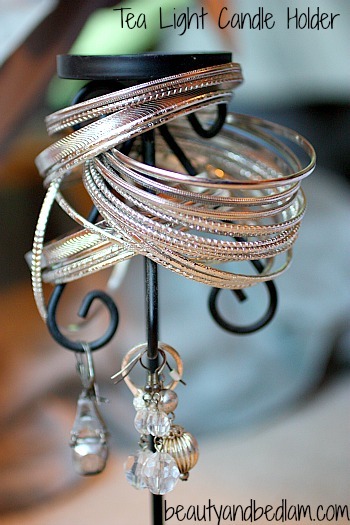 I just became a Premier Designs Jewelry lady, and have never had so much jewelry in my life! So, i am on a mission to create one of these ideas. Thank you so much!